This is the Overnight tour of Agra, in this tour you can come Agra from Jaipur or Delhi by high way road, on the way visit one monuments either Fatehpur sikri if coming from Jaipur or Sikandra if coming from Delhi. later check in your hotel & overnight in Agra city. 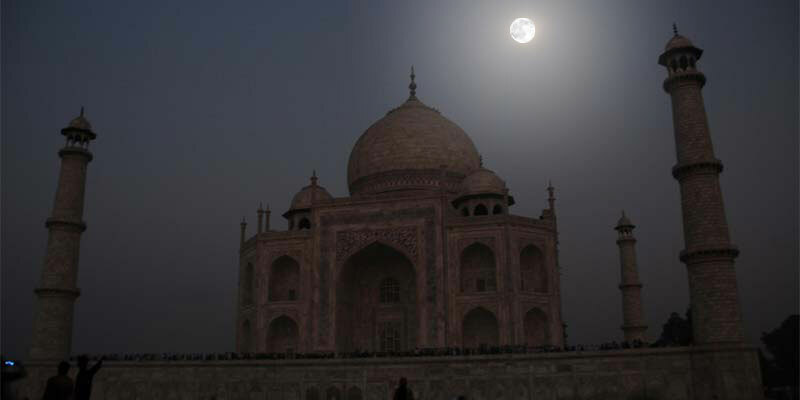 Next day You can visit Taj Mahal at sunrise time (This is the best time to behold beauty of Taj Mahal) & Agra fort etc. Our Driver meets you at the Delhi airport or Jaipur's hotel. He will then take you to Agra, the home of majestic Taj. On the way drive you enjoy the sights and scenes passes by. Enroute you visit the Tomb of Emperor Akbar at Sikandra. This monument has a fusion of Hindu, Christian, Islamic, Buddhist, Jain motifs. Or Fatehpur sikri if coming from Jaipur, a deserted capital of Mughal emperor Akber, made of redsand stone, explore here Indo-Islamic architect. On arrival at Agra, Check in your hotel, over night in Agra. DAY 02: AGRA- DELHI or JAIPUR. Early morning visit Taj mahal at sunrise (this is the best time to behold beauty of Taj mahal). Back to hotel for breakfast later visit Agra Fort etc. After lunch drive to your destination DELHI OR JAIPUR. Large Toyota Innova ac car for entire tour with all taxes & tolls. Hotel room in 4 star category with breakfast (option for upgrade to 5 star). English speaking Tour guide service in Agra city. All Entrance tickets of monuments. Meet up location: At your hotel in Delhi or Jaipur city. End location: At your destination in Delhi or Jaipur. Mineral water bottles during your tour.